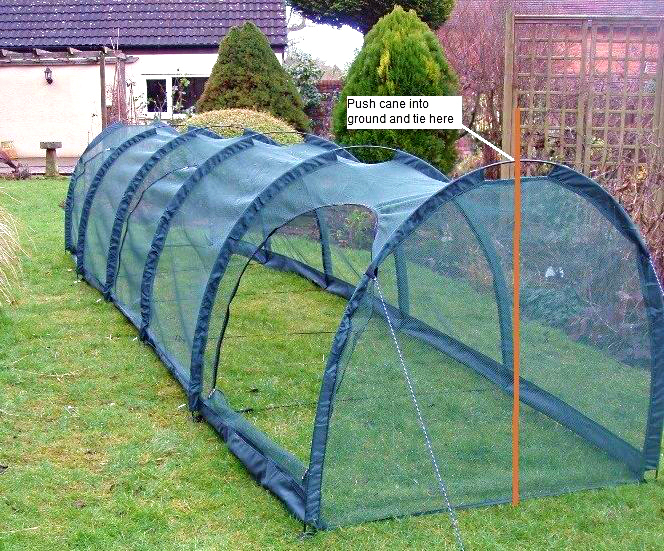 5 metre long garden grow tunnel for protecting crops, vegetables, salads and fruit bushes from birds,insects, butterflies, pests, rodents and pets. 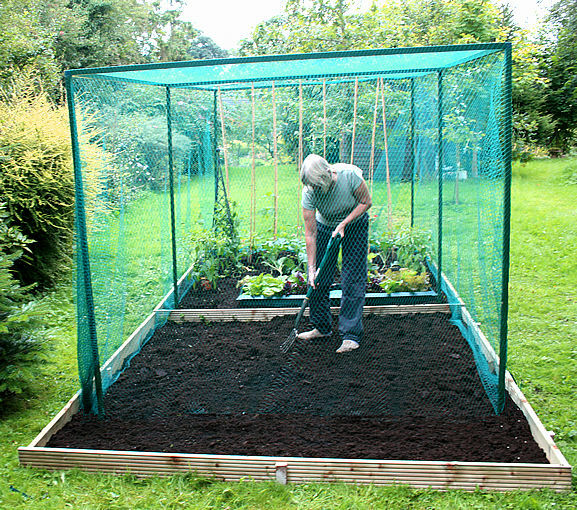 This pop-up cloche is a high quality durable reusable product that is covered in a tough knitted 4mm PP garden netting. 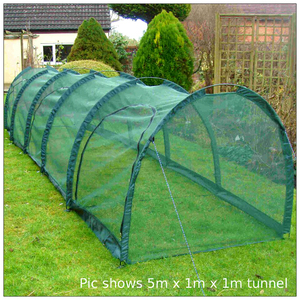 The grow tunnel is 1m wide and 1m high making this suitable for fairly sizeable planting. 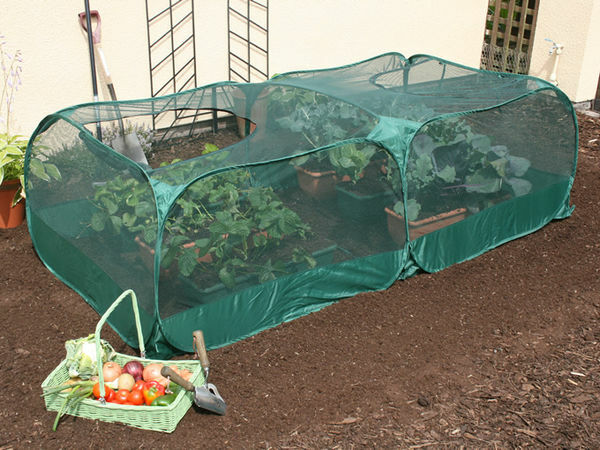 Each netting grow frame is supplied with a zipped access door for easy access to the crops and fruit inside. The netting grow tunnel is a high quality advanced crop protection system for the serious gardener. 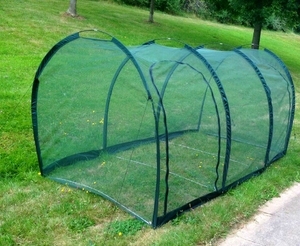 The pop net tunnels is strong, compact and can be assembled in minutes. 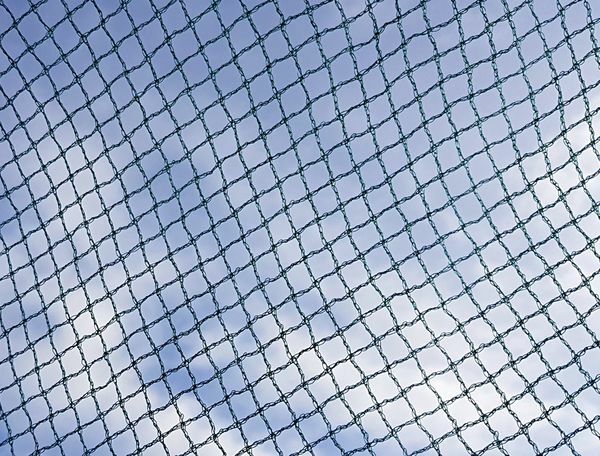 The frame is made from collapsible carbon fibre rods that are threaded through the sewn material loops. 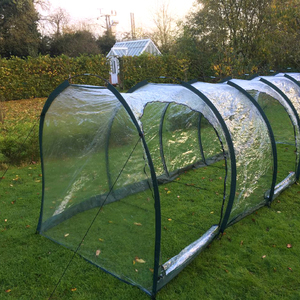 This provides our grow tunnels with a much stronger structure than conventional wire and hoop variants found at the lower end of the market. 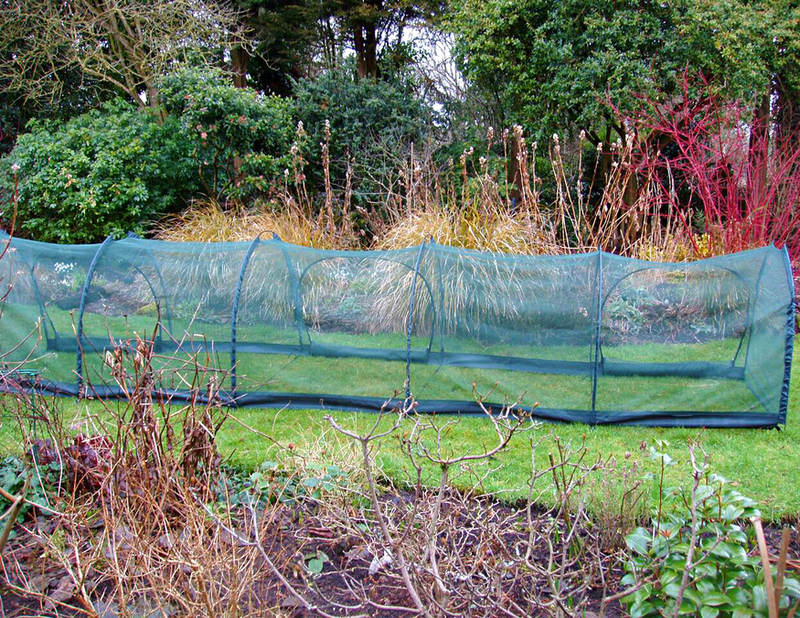 As with tent technology, the netting grow tunnel can be stabilised further by the guy ropes at either end of the tunnel being pegged. 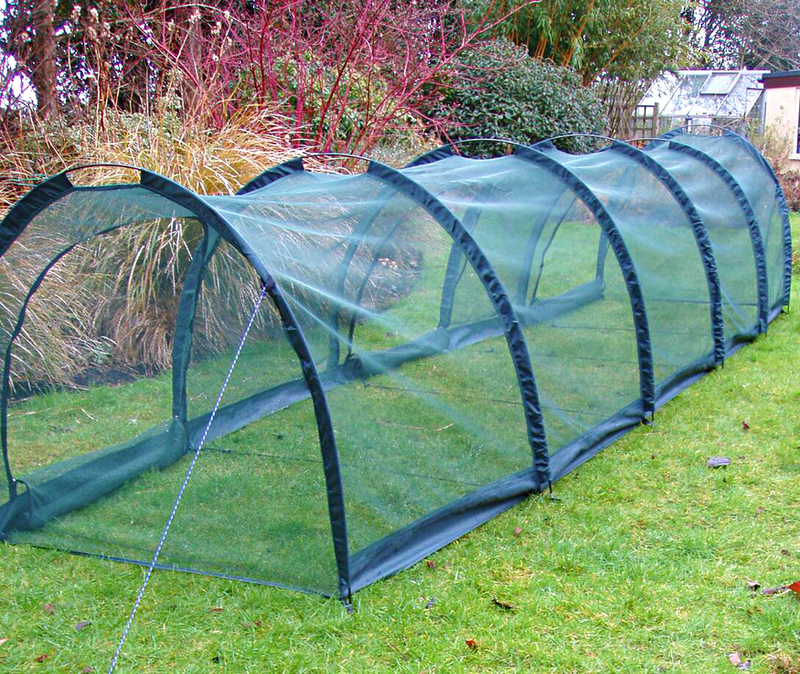 Ultimate One stock a range of grow tunnels in 5m and 3m long lengths and in heights from 50cm, 1mtr and 1.5mtr high. 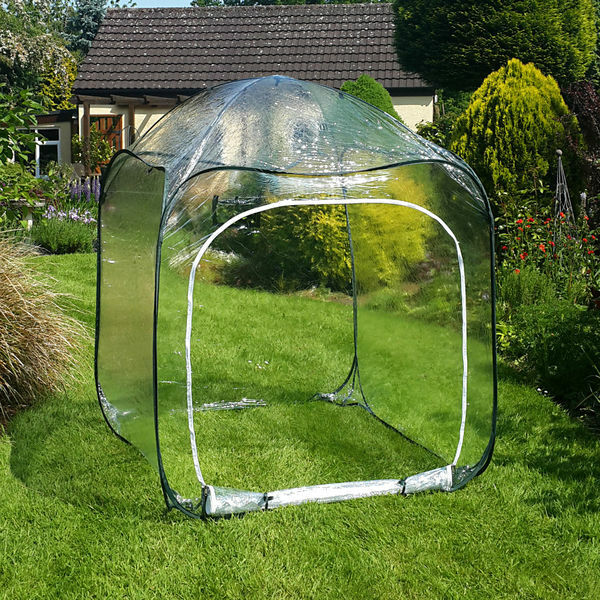 We also supply cloche tunnels with a frost fabric and clear polythene where a heat is required to help young plants grow in the colder season. PLEASE NOTE: This product is OUT OF STOCK but we are expecting more on 20/05/2019. Please continue with your order and we will place on back order. Standard 2-3 working days (stock dependent).